Following Cream’s sell out shows at Liverpool Cathedral back in April which saw the dance brand collaborate with the Royal Liverpool Philharmonic Orchestra for a erformance of dance classics, the brand recently announced its return as they bring Cream Classics to London on Saturday 10 September, taking over the O2 Academy Brixton. 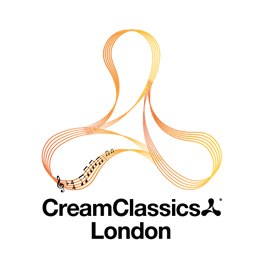 Dance duo and former Cream residents K-Klass who have curated the set list will see their selection orchestrally come to life as Cream’s 60 piece Philharmonic Orchestra performs classical arrangements of some of the biggest dance tracks from the clubs history. They’ll be joined on stage with an array of special guest vocalists and performers. The classics continue into the early hours for the after-show party at the same venue, featuring performances from Seb Fontaine & Tall Paul (B2B), Danny Ramping, X-Press 2 and Jeremy Healy. Pre-sale tickets will be available from 10am tomorrow.